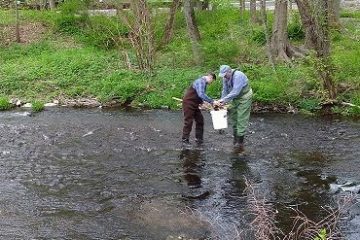 Raritan Headwaters Association (RHA) will hold a series of “Get Your Feet Wet” nature programs to entice families, individuals and community groups to enjoy the outdoors. The first three programs of the year will be a Winter Hike on Sunday, Feb. 10; a Woodcock Watch on Friday, March 8; and a Full Moon Campfire and Scavenger Hunt on Friday, March 22. All will be held at RHA’s Fairview Farm Wildlife Preserve, 2121 Larger Cross Road, Bedminster. 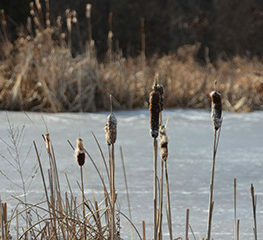 Winter Hike, 2 to 4 p.m., Sunday, Feb. 10 – Beat cabin fever with a brisk guided hike on the trails of Fairview Farm! Winter is a wonderful time of year to bundle up and get outside. Hikers will look for winter wildlife, enjoy the winter scenery and each other’s company. 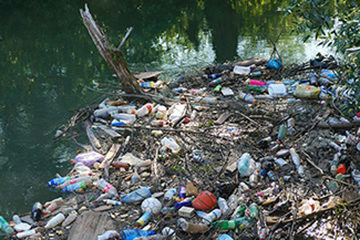 The hike is free, but donations are gratefully accepted. 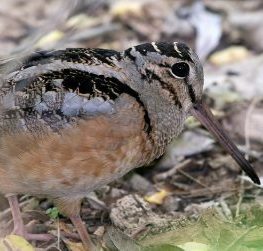 Woodcock Watch, 5 to 7 p.m., Friday, March 8 – The woodcock is a native New Jersey bird known for its unique courtship display, including buzzing calls and steep spiraling dives from 200 feet in the air. Woodcock Watch will begin with a presentation by volunteer educator Alan Rennie, followed by a guided hike to woodcock singing fields. The event is free, with an option to donate to Raritan Headwaters at the door. Full Moon Campfire and Scavenger Hunt, 5 to 7 p.m., Friday, March 22 – Join RHA for a fun scavenger hunt around Fairview Farm’s gardens, buildings and trails, with options suitable for children ages 5-12. Each child will receive a small prize upon their completion of the search. Afterwards, everyone will gather around a warm campfire for s’mores and hot chocolate. The cost is $6 per guest. 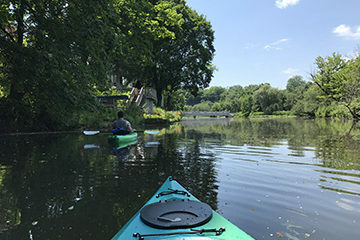 Other Get Your Feet Wet programs in 2019 include a rain barrel workshop in Flemington on Wednesday, March 20; RHA’s annual Stream Cleanup event on Saturday, April 13; a streamside Earth Week meditation on Wednesday, April 17; an open kayak paddle in Clinton on Sunday, May 5; a summer campfire with the Raptor Trust on Friday, June 21; and Firefly Viewing Nights during the week of June 24-28. Visit our Calendar to learn more and sign up for these exciting Get Your Feet Wet programs. For more information about “Get Your Feet Wet” programs, contact Lauren Theis at 908-234-1852, ext. 314, or at ltheis@raritanheadwaters.org.